Happy New Year 2018 . We are back in the UK this year and celebrated 100 years of Finnish independence with friends in the village. 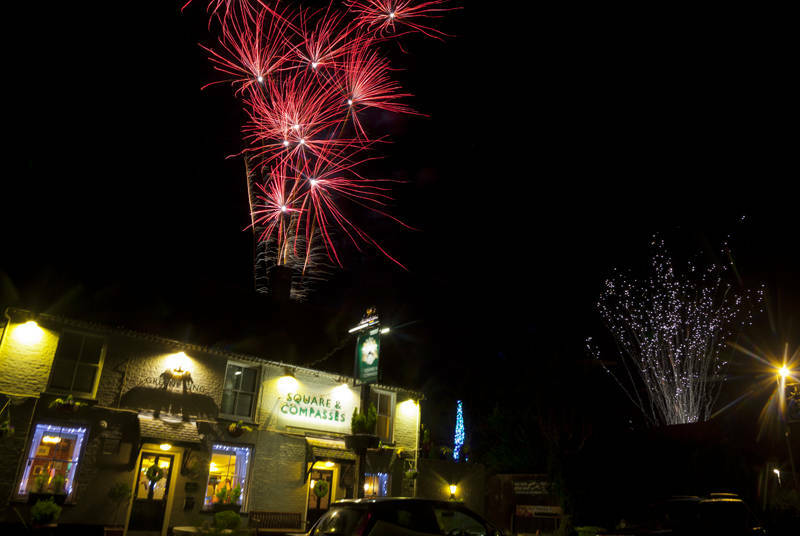 This is the local pub illuminated with festive incendiaries.